They say a week in politics can be an eternity. 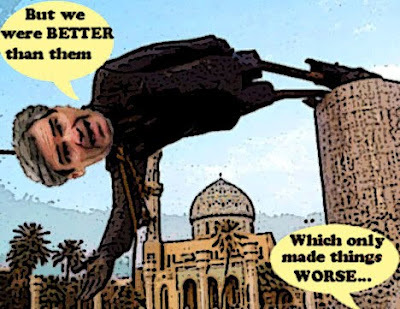 So I can only imagine what a few weeks must be like for Michael Ignatieff and the Liberals. Back then they were clamouring for an election. Now they have gone silent. And even Jeffrey Simpson has figured out. It must therefore be awfully tempting for the Conservatives, having spent all that taxpayers' money on ads promoting themselves through the Economic Action Plan, having doled out more billions of dollars than any government since the Second World War, having governed politically on the theory that “an announcement a day keeps the Liberals at bay” and having avoided a serious mistake the past six months or so, to find the means of defeating themselves, thereby laying off the blame for a vote on one or more of the opposition parties, and so try their luck in an election campaign, at the start of which they would be tantalizingly close to a majority government. What I figured out a month ago. And the news isn't getting any better. And the answer is still NO. Because the future of Canada is far more important than the electoral advantage of any party. And our time will come. The number of people on E.I.may be going down....but numbers can be deceiving. Labour economist Erin Weir agreed the decline in new entrants to the rolls of those on EI was welcome, but cautioned that the fall-off in Canadians receiving benefits is likely an indication that workers have exhausted their entitlements rather than that they have found new jobs. And as welfare rolls start to swell, in a couple of months the damage to the real economy will become obvious. And even if the economy does recover slightly the big question will remain. How are we going to bring down that massive deficit? The Liberal and NDP way? Because that's what the next election should be about. 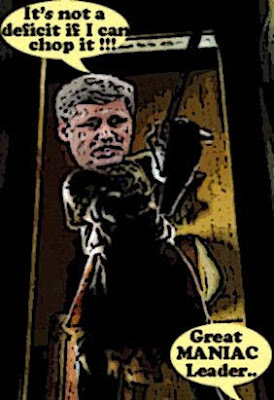 As well as the filth and corruption of the Harper regime. You know when you are not blinded by political partisanship, and your country comes first, and nothing is more important than denying Stephen Harper a majority, it tends to concentrate the mind. Which is why I dare to suggest that perhaps the Liberals and the NDP might think of having secret talks to coordinate their strategy, so we can strike when the time is right. I know it's quite a concept, and I realize it would be difficult. Although not impossible. But with Canada in such mortal danger, and the midnight hour upon us, I can't see why we can't learn to dance together. Oh sure...it's not as much fun as the chicken dance. But if we don't stop playing into the hands of the Cons, history will laugh at us. "And even if the economy does recover slightly the big question will remain. How are we going to bring down that massive deficit? The Liberal and NDP way? Stop laughing -- it's our $$$ !!! hi 'berto...laughing? I'm squirming with embarrassment.